Life is beautiful! 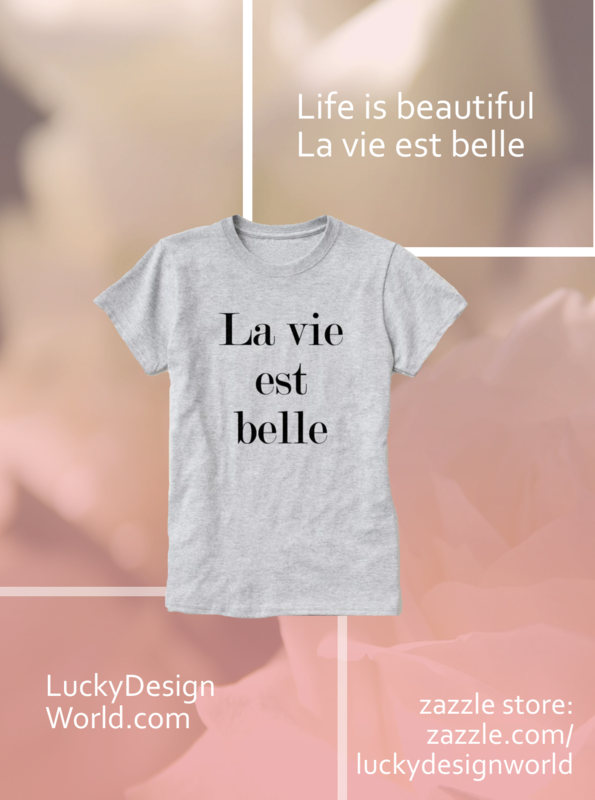 La vie est belle! That is a quote used as a typography design for this collection. It’s a timeless quote because it’s so inspirational and sometimes, we need reminders to bring in more gratitude. Plus, it is also a reminder to be aware of the little things that make life so beautiful. Some examples would be a smile that makes your day, someone made you laugh, the sunset was stunning, spending quality time with family, and more. It’s easy to start a list. 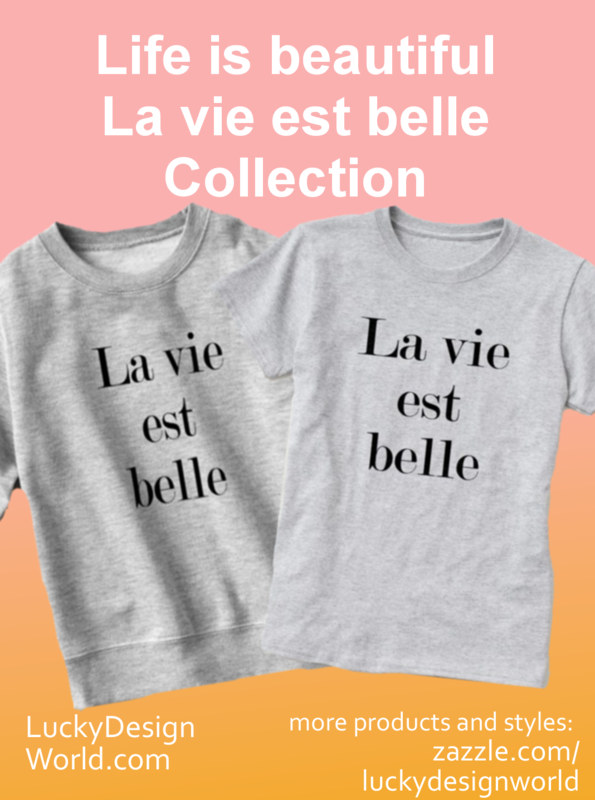 This collection features that inspirational message. This design is features a typography style that is modern and reminiscent of a fashion magazine’s font something like Vogue or InStyle would use. The font here is in a classic ink hue. It’s modern and still classic. That is so great! Here is a fun promotional design I made for the collection! Grey is so trendy! Please share if you like it! There are currently 28 products in the collection. This product is the poster! Imagine having these inspirational words lighten up your living space! I’d recommend placing it somewhere’d you see it often and with friends and a family like a dinning room or living room. One of the best parts about this design is the minimalist approach. It’s the words placed and spaced evenly for a harmonious feel. Because of this, you can dress up this poster using a frame that suites you and your room’s current decor. Plus you can always mix and match! Some other things to note about the posters, Zazzle has 5 different paper options. The sizing option is up to you. This option is a custom size option, but there are 23 other selection choices available. It’s that fantastic! Next is a mug! French roast coffee and a croissant to go along with your French Quote mug! Or you can have a baguette slice or whatever you normally have like avocado slices on sprouted grain toast with poached eggs. Yum! This could also make a great gift idea for a coworker because the inspirational message can help! Remember, every little bit helps and deadlines are so stressful! Here is the design on a crew tee. The Women’s Alternative Apparel Crew Neck T-shirt is one of the best selling tees they have because it’s 100 % cotton that is soft, preshrunk, and a flattering look because of the tapered waist. This would look good with a bright cardigan pairing! Or even a beautiful botanical pattern would look nicely with this tee. If it’s cold or chilly enough, try a blazer. You can dress up the design or dress casually. This next product continues with the grey theme. This tshirt is in a grey heather option. There is another white option too. This would look perfect for a casual and cool look for the weekend! Here’s another creative promotional poster I made for Pintrest! It features two other options to choose from a sweater and a crew neck tee. Please repin if you like it. Featured on Zazzle’s Homepage: Top Pick for Trucker’s Hat! Another product with the design is a tote! You can carry your book or farmer’s market produce in a chic bag! A nice accessory made of 100% natural material. It’s also available in 5 different sizes and all of them durable. So this would be a fashionable choice! 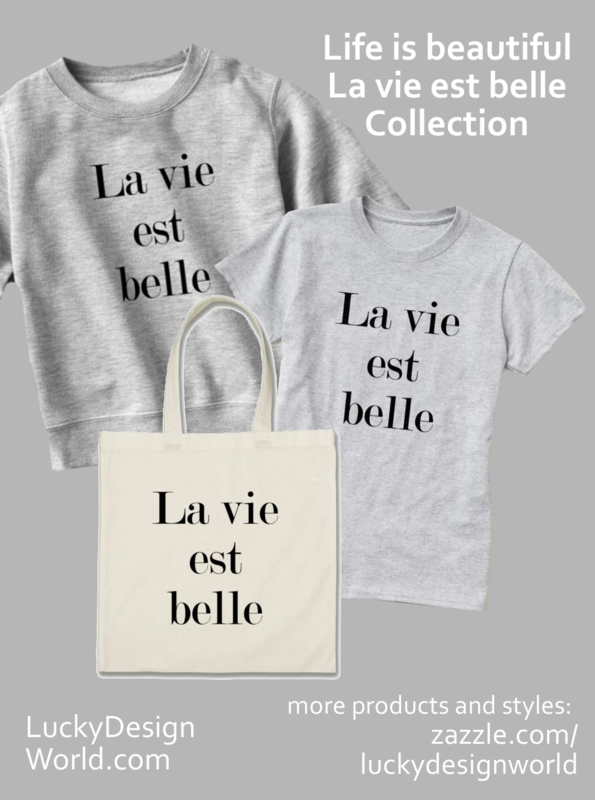 There is more to see in the collection: La vie est belle (life is beautiful) Collection. Another tip: Save big! How can you get deals? Are you signed up to get Zazzle discounts? This is a must! Save 15% or more using the promotion codes they have. Did you enjoy this article? Did you know that it was really fun to blog about collections on Zazzle. Have thought about blogging yourself? If yes, then I’d have to recommend using Siteground because they provide safety along with speed. With brilliant and excellent customer service – they know their stuff and are going to help you along the way! Not to mention, great bargain prices ! Try Siteground today!